The Walking Dead Renewed for Season 8! That was a close call. While we wait anxiously for The Walking Dead Season 7 to begin on October 23, none of us were worried about renewal, but we were treated to it just the same! AMC just announced the zombie series earned a well-deserved renewal and will be back for The Walking Dead Season 8! We're one week away from discovering exactly who Negan killed with his beloved bat, Lucille. Gosh, saying that is kind of sickening, but Jeffrey Dean Morgan can make a dreadful character one you love to hate as much as you hate to love him. 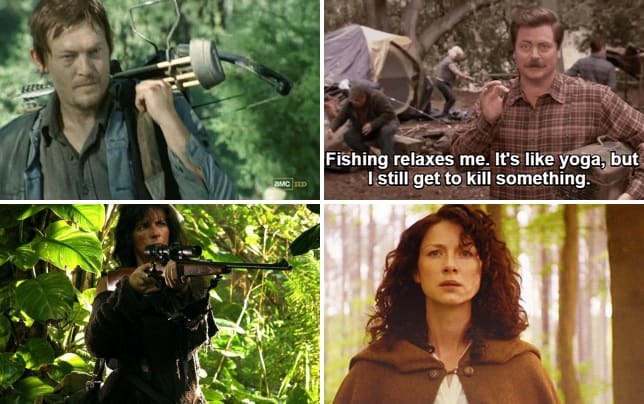 For six years we've been watching and rooting for some of the characters who are kneeling before Negan, and one of them may not make it out alive. 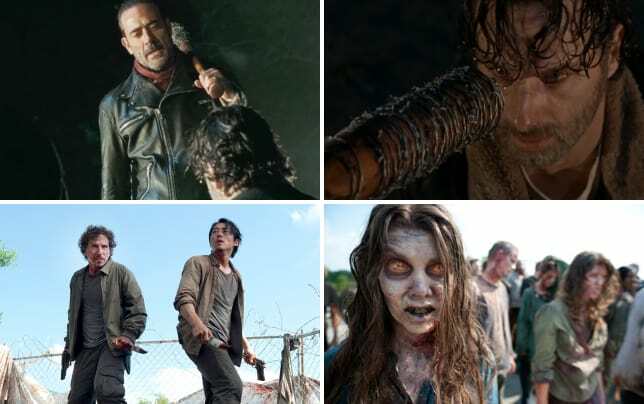 "Eeny, meeny, miny, more,” AMC president Charlie Collier said in a statement, alluding to Negan's famous line from the comics and The Walking Dead Season 6 finale. “What a joy to partner with Robert Kirkman, Scott Gimple and some of the hardest-working people in television to bring The Walking Dead to the fans. And, most important, thanks to those fans for breathing life into this remarkable series right along with us." 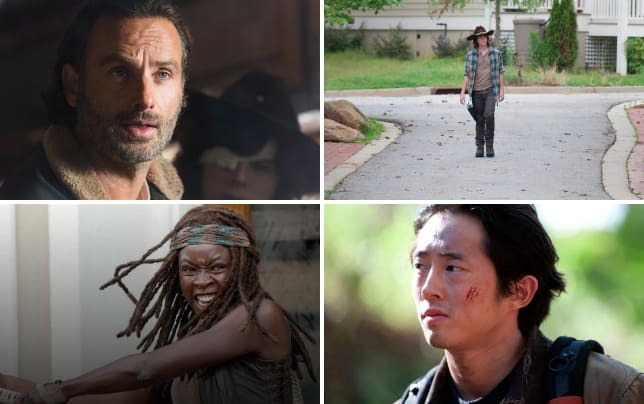 When The Walking Dead premiere trailer was released, people had some theories about just which character wouldn't make it, and it was someone other than the character from the comics. Either way, the pain will grip viewers just as hard and we expect a lot of pain and misery after The Walking Dead Season 7 Episode 1. The only character we know for sure isn't going to be turned to mush at the hands of Negan is Rick Grimes, who was featured breathing in the aftermath of the bloody mess. We don't expect he'll be in he mood for Negan's sardonic humor, but he'll likely have to listen to it anyway. The eighth season of The Walking Dead will consist of 16 episodes and premiere in late 2016. 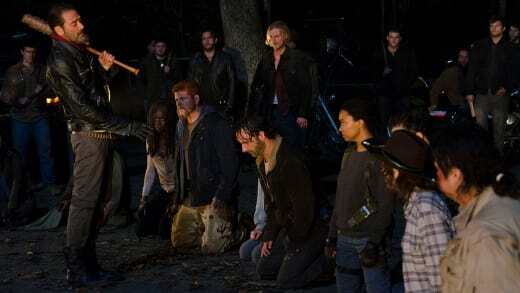 The premiere of the eighth season will be a special one, the series 100th episode!! Of course, Chris Hardwick's The Talking Dead has been renewed as well, and will continue to be seen after each airing of The Walking Dead. The Walking Dead Season 7 Episode 1 premieres Sunday, October 23 at 9/8c. Are you going to have viewing parties or will you be making your own party by viewing online? Let us know your plans for the big event. Make sure you're here following the hour for a full rundown of what happens, and we'll all cry in soup together. If you've missed any of the amazing series thus far, you have time to catch up when you watch The Walking Dead online right here.